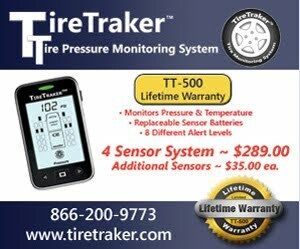 When changing the "Type" tire be it P-metric, LT, Euro-metric or Euro Commercial or ST or even Low Platform trailer you MUST consult the appropriate Load \ Inflation tables AND when passenger type tires are involved make the required load adjustment based on the type vehicle you are looking at. While the vast majority of tires use the same Load/Inflation tables there are a few exceptions. Usually Michelin but also some ST tire brands have Load & Inflation numbers that are a bit different that the rest of the industry. Some ST tires even has special ratings that are not published but are covered by a special dispensation letter from NHTSA so reviewing the original Loads & Inflation for ST tires and comparing to the Tire & Rim tables or tables from other companies such as Goodyear, Bridgestone\Firestone or MAXIS are in order. In my experience these companies seem to line up 100% of the time with Industry guidelines. If your numbers are anything different that means you MUST do more investigation or face the posibility of being in an overload situation and not knowing it. It's not hard to do but you do have to make an effort to cover ALL the requirements. While most of the info you need is covered in the Load/Infl tables some considerations such as speed rating limitations and "De-Rating" of the load capacity are things that even many tire dealers are not trained to do so you do need to consult a knowledgeable source. Please remember that probably 90% or more of tire applications do not involve a change in type or application so the above is definitely NOT the norm even for the folks on the 1-800 Customer Support lines. This would be a real interesting article if enough information was given to understand it. Example: what is ST tires, P-metric, low platform trailer tires, "De-rating" and where do you get the Load/Infl tables. If we knew all of this, we probable would already know the rest of the information. John, sorry for slow response. You can get the answers to your questions by looking at the list of post "Labels" to the left side of the blog. Do you check your air every day? Why ?? ?